They sound like the Bad Guys, they look like the Bad Guys... and they even smell like the Bad Guys. But Mr Wolf, Mr Piranha, Mr Snake and Mr Shark are about to change all of that - whether you want them to or not! Mr Wolf has a daring plan for the Bad Guys' first good mission. The gang are going to break 200 dogs out of the Maximum Security City Dog Pound. Will Operation Dog Pound go smoothly? Will the Bad Guys become the Good Guys? And will Mr Snake please stop swallowing Mr Piranha? 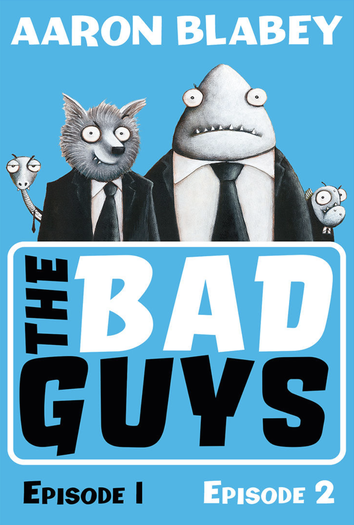 As part of Bookbuzz 2017/18, Olivia from Scholastic talks to us about Aaron Blabey's The Bad Guys: EPisode 1. While one of our Bookbuzz students also tells us about why she loves the book. This book is a fantastically original book with excellent and very funny illustrations. The book is funny for kids and for adults. My kids love just love them, its that bit of toilet humor that they like and makes them giggle . Its also a great chance for you parents to practice your comedy accents. Especially with Piranha, Chico!